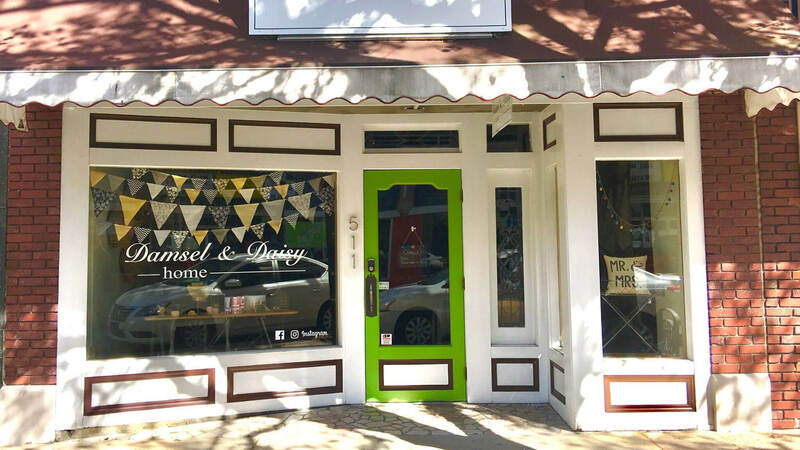 You may have seen a for rent sign in the window of Damsel & Daisy recently. Don't worry! The shop is not closing. They have big plans to move in with The Distressed Gentleman​ down the street. Stay tuned for updates! You’ll be able to get hand painted furniture, hand poured candles, unique decor, and great gifts all in one place! But they can’t make that happen until they find an awesome shop to lease the current space at 511 State Street. Spread the word! The residential loft is 2,400 square feet, all custom. The master suite is completely private with a custom walk-thru closet and a spa-like master bathroom accompanied with a 100-square foot steam room shower with a bench. The hallway exudes the buildings character with beautiful exposed brick and hard wood flooring through the entire loft. Step down into a chef's kitchen with granite counter tops, custom wine rack around the refrigerator, plenty of storage space and bar seating that overlooks the dining area. Enjoy the spacious feel as the ceiling height is at 24-feet. Sit and enjoy the gas fireplace! Pull up the windows that overlook Historic Downtown Bristol and listen to all the music and sounds of State Street (great during Rhythm & Roots Reunion Festival & Border Bash). 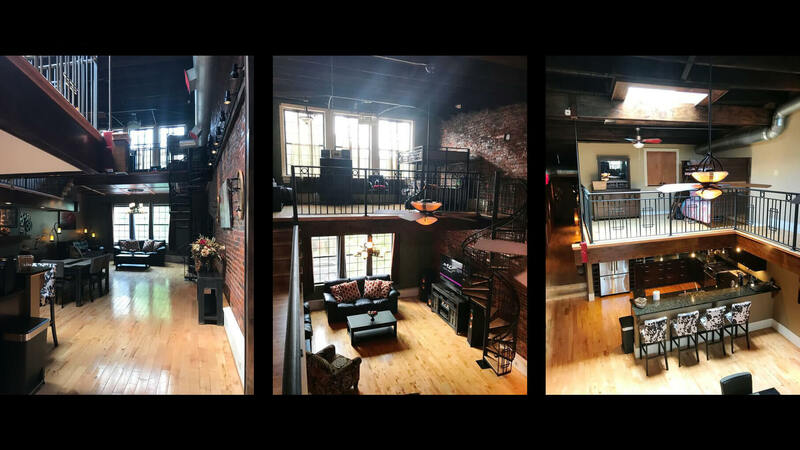 Walk up the custom iron spiral staircase to an exposed bedroom, or great office space, that leads to an 18-foot long catwalk that drops into a suspended bedroom over the kitchen. This section of the loft also gets plenty of natural light through the large skylight. The loft also comes with approximately 350+ square feet in additional storage space, ideal for seasonal items. This week's "Meet the Merchant" featuring Historic Downtown Bristol business: Misty Mountain Designs! How did Misty Mountain Designs come about? My ex and I started Misty Mountain as a way to afford to live here and build our home in the Tri-Cities. Are you a Bristol native? If not, what brought you to Bristol? No, originally my ex and I are both from Maryland. We purchased land in Mendota after visiting a friend with a home here in 1993. We built our house and moved in August of 1998 and opened Misty Mountain as a kiosk that October. Tell us about your family! Kids? Dogs? Cats? I adopt all of my customers and friends as my kids. I have one cat named Dolly Parton and one dog named Johnny Cash. I lost my other pets, Bella Fleck and Jerry Garcia, to cancer a year apart. Outside of your business, what are your other passions? I love hiking, supporting other local businesses, and chasing the music that I love. Favorite Bristol restaurant: From Machiavelli’s to Blackbird Bakery and all points in between, each restaurant and eatery has something awesome and different to offer. Shout out to all of the owners for doing their very best to bring us quality food and service! Favorite outdoor/rec spot: I love Cumberland Park, Weir Dam, Rooster Front Park, and Observation Knob. Favorite Lunch Spot: I like a little bit of everything. Bank Street’s specials, Machiavelli’s soups, Macado’s salads and fries. Sweet Tooth: Southern Churn ice cream, anything from Blackbird Bakery, and Manna Bagel’s scones. 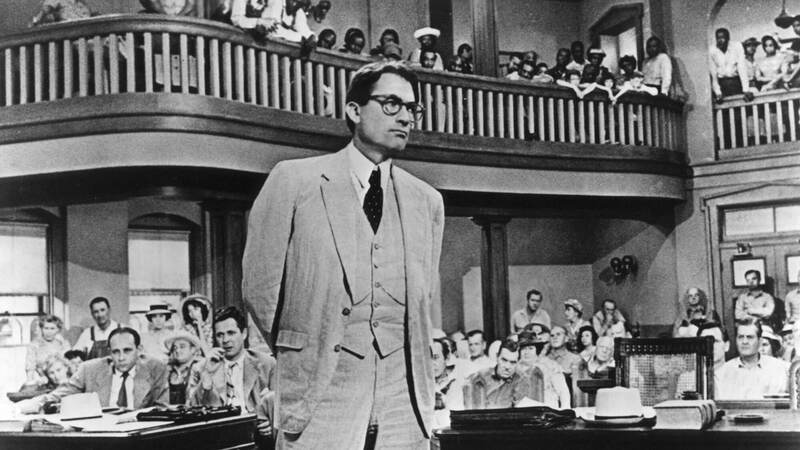 The Bristol Public Library is pleased to present another Classic Movie Corner with To Kill a Mockingbird (1962). Based on Harper Lee’s classic novel, To Kill a Mockingbird features Gregory Peck, John Megna, and Robert Duvall in this captivating tale of Scout Finch’s childhood summers in Depression-era Alabama. While Scout and her brother, Jem, make friends with their neighbor Dill and investigate town recluse Boo Radley (Duvall), her father, Atticus (Peck), becomes embroiled in a court case that will rock the foundations of Maycomb County. 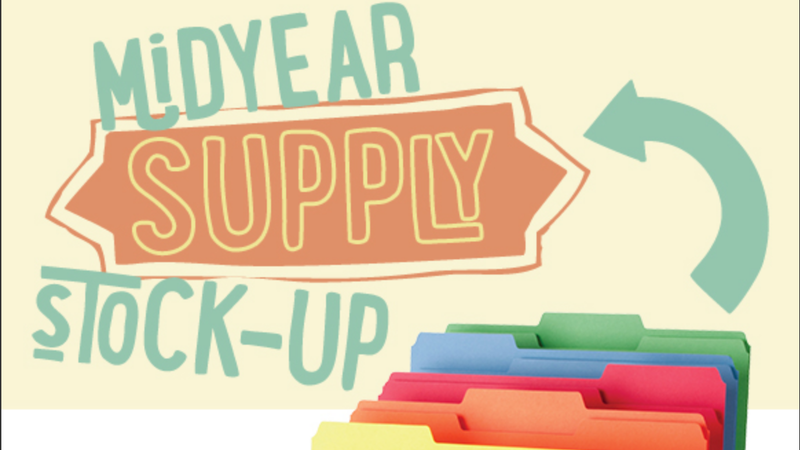 The library will kick things off at 5:30 p.m. in the J. Henry Kegley Meeting Room, so don’t be late! Popcorn and water will be provided to movie attendees. What will Bristol be like 5, 10, or 20 years from now? You tell us! 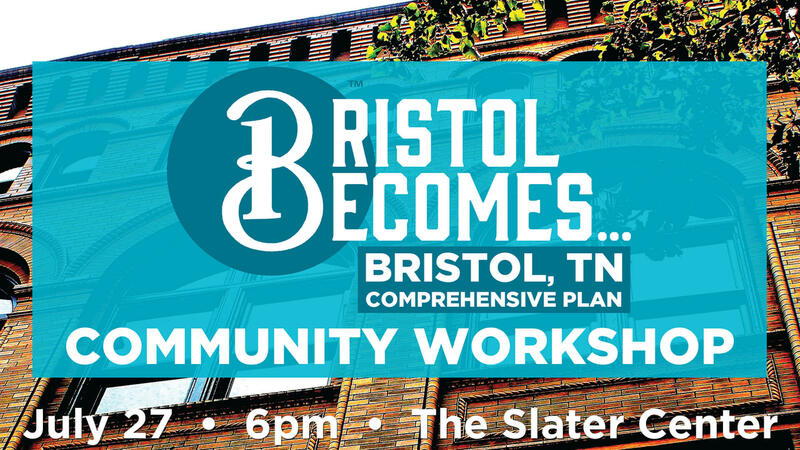 Join the City of Bristol, TN, at the Slater Center Thursday, July 27th at 6pm. Share your vision and learn more about Bristol, TN’s Comprehensive Plan. The Comprehensive Plan is community driven and citizen participation is a vital component of the planning process, and city leaders need to hear from you! What is the Comprehensive Plan? A comprehensive plan is a guide for the future! It establishes a framework to guide decisions about growth, preservation and change within our City. The document, officially adopted by City Council, will describe Bristol’s direction for future development and will recommend policies and projects to achieve desired results. The process will involve a variety of stakeholders including Elected Officials, City Staff, a Comprehensive Plan Advisory Committee, Regulatory Agencies, a Consultant Team led by Design Workshop, and the General Public. Visit the Comprehensive Plan page at bristoltn.org to learn more. PBS american experience Documentary "Edison"
BCMM will present the PBS American Experience documentary “Edison,” companion programming designed to complement "Things Come Apart," an exhibit from the Smithsonian Institution Traveling Exhibition Service. "Things Come Apart" is on display in the Special Exhibits Gallery from July 15 to October 8, 2017. By the time he died in 1931, Thomas Alva Edison was one of the most famous men in the world. The holder of more patents than any other inventor in history, he had amassed a fortune and achieved glory as the genius behind such revolutionary inventions as sound recording, motion pictures, and electric light. 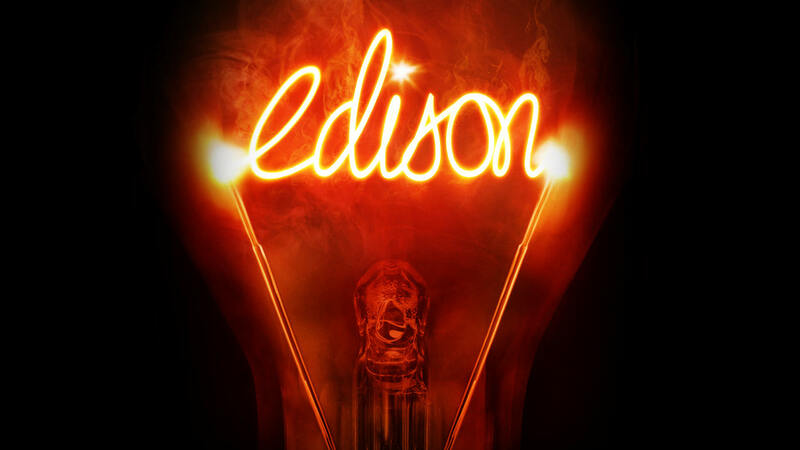 Born on the threshold of America’s burgeoning industrial empire, Edison’s curiosity led him to its cutting edge. With just three months of formal schooling, he took on one seemingly impossible technical challenge after another, and through intuition, persistence, and a unique team approach to innovation, invariably solved it. Driven and intensely competitive, the inventor was often neglectful in his private life and could be ruthless in business. Challenged by competition in the industry he’d founded, Edison launched an ugly propaganda campaign against his rivals, and used his credibility as an electrical expert to help ensure that high-voltage electrocution became a form of capital punishment. When Edison died on October 18, he lay in state for two days in the library of his West Orange complex, as thousands of people lined up to pay their final respects. On the third night, at the request of President Herbert Hoover, radio listeners across the country switched off their lights as a reminder of what life would have been like without Edison. The film explores the complex alchemy that accounts for the enduring celebrity of America’s most famous inventor, offering new perspectives on the man and his milieu, and illuminating not only the true nature of invention, but its role in turn-of-the-century America’s rush into the future. 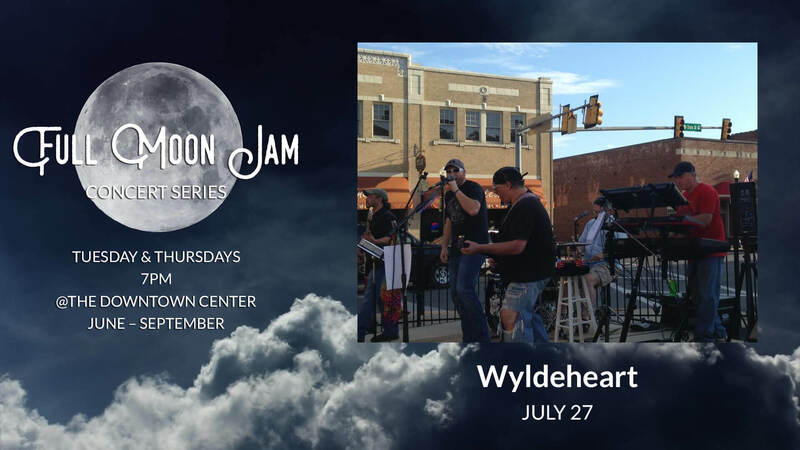 WyldeHeart is a local band that specializes in covering all the great 80's rock bands! They also have a few or their own. 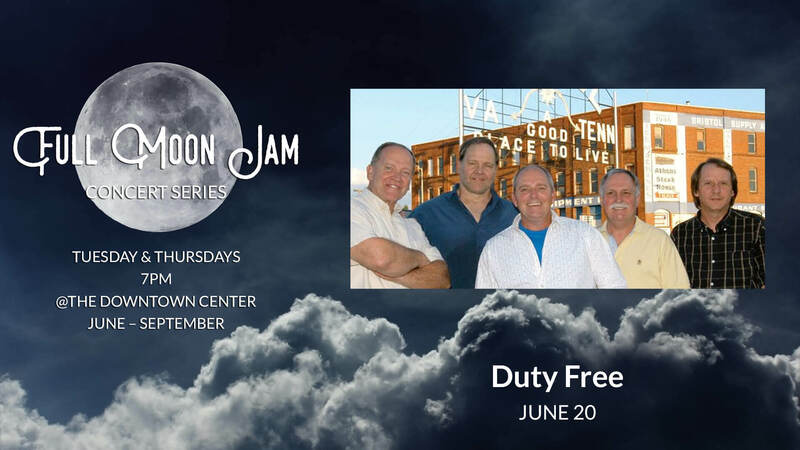 The City of Bristol Tennessee will host its annual free concert series "Full Moon Jam" on Tuesdays and Thursdays at the Downtown Center (Country Music Mural), 810 State Street. Performances begin at 7 p.m. and continue until 9 or 9:30 p.m. through September 28th. Bring a lawn chair or come early to grab one of the 350 chairs provided on-site. Refreshments are sold in the concessions area for a nominal fee. Clean, well-stocked restrooms also available. Bands subject to change without notice. For more information visit the City of Bristol TN website. 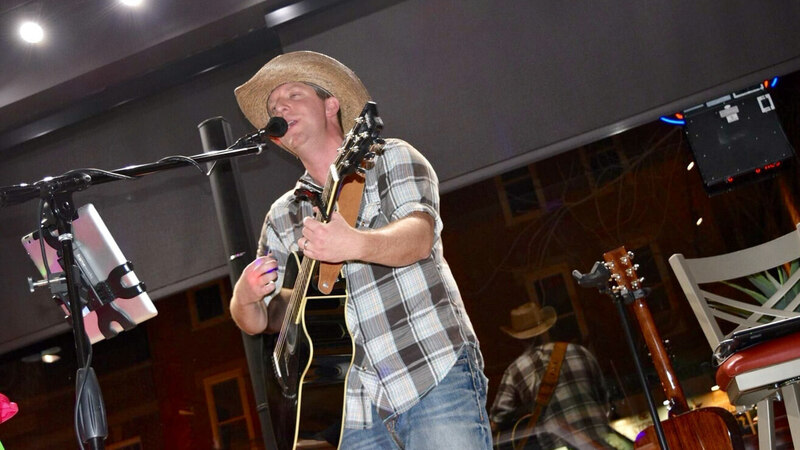 James and his talented band (The Country Mile Drifters) have performed a large number of shows and have opened for major touring artists both locally and regionally over the last four years. A typical James Meadows show contains a huge set list filled with both fan/crowd requested and timeless Classic Country, New Top 40 Country, Bluegrass, Southern Rock, and Originals that are sure to blow the walls off of any event or venue. James's voice is very versatile and he uses his musical gift to put his own unique vocal twists on every song he sings. 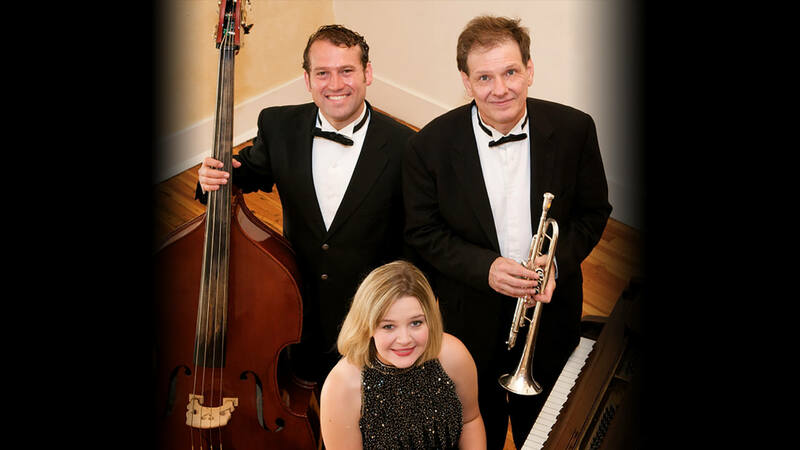 From East Tennessee, The Diamonds play a diverse mix of music, specializing in jazz standards. 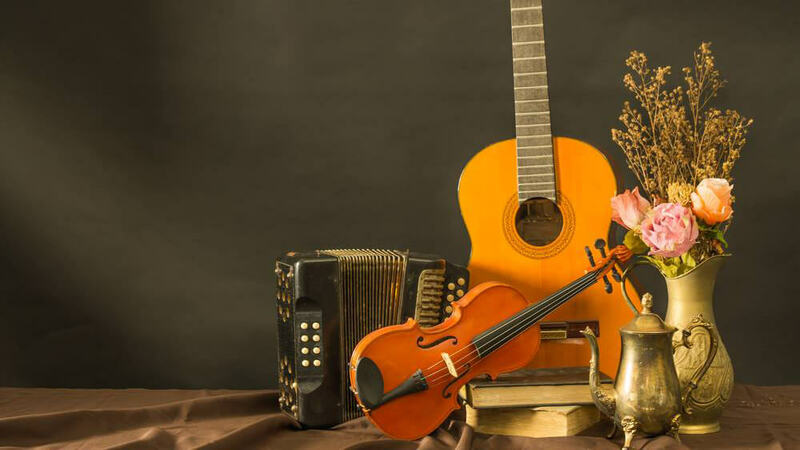 The group performs at various venues and events throughout the region, including weddings, parties, and restaurants. They have also volunteered at many nursing homes, assisted living homes, and charitable organizations in the area. Theatre Bristol is proud to present an Oscar Wilde comedy classic, “The Importance of Being Earnest,” produced by the Theatre Bristol Youth Service Board, July 28, 29, and 30 at the Theatre Bristol ARTspace. Tickets are on sale now at TheatreBristol.org. “The Importance of Being Earnest” begins in the flat of wealthy Algernon Moncrieff (Seth Gilstrap) in London's fashionable West End. 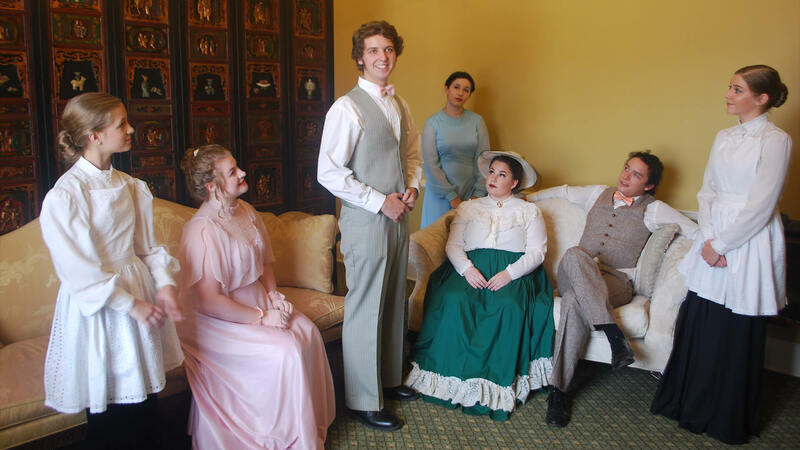 Algernon's aunt, Lady Bracknell (Anna Kimerer), and her daughter, Gwendolen Fairfax (Camille Gray), are coming for a visit, but Mr. Jack Worthing (Jace Lyon), known to Algernon as Ernest, arrives first. When Jack explains that he plans to propose marriage to Gwendolen, Algernon offers up Jack’s lost cigarette case, demanding to know why the case has the inscription, "From little Cecily with her fondest love," before giving his approval of the engagement. Jack explains that his real name is Jack Worthing in the country, but he assumes the name "Ernest" when he ventures to the city for fun, and that Cecily is his ward. While devouring all the cucumber sandwiches, Algernon confesses that he, too, employs deception when it is convenient. The scene shifts to Jack Worthing's country estate where Miss Prism (Cameron Roberts), Cecily Cardew's (Emma Kennedy) governess, is teaching Cecily in the garden. Miss Prism sings Jack's praises as a sensible and responsible man, unlike his brother Ernest, who is wicked and has a weak character. The local vicar, Canon Chasuble (Luke Gray), arrives and, sensing an opportunity for romance, takes Miss Prism for a walk in the garden. In conversation, Gwendolyn and Cecily discover they are both engaged to Ernest Worthing. A battle follows, cleverly carried out during the British tea ceremony. Supported by Morgan Whitaker as Mrs. Lane and Whitney Brooks as Mrs. Lane, and Dakota Otey and Devon White on lights and sound, “The Importance of Being Earnest” is clever and packed with fast-paced and comedic dialogue that will leave you rolling in the aisles. "The Importance of Being Earnest" is directed and managed by Theatre Bristol Youth Service Board members ages 13 to 22. After the successes of their previous productions, "Pygmalion" and "Love's Labour's Lost," the YSB is excited to have the opportunity to present this classic play. With the help of their mentors Samantha Gray and Steve Baskett, they have put together a truly entertaining comedy. "The Importance of Being Earnest" runs July 28-30, 2017, with evening performances on Friday and Saturday at 7:30 and matinees Saturday and Sunday at 2:30. Please call 423-212-3625 for reservations or reserve them online at TheatreBristol.org. Earnie "E.C." Frazier is located in the Tri City area of East Tennessee. He plays music because it's what he loves to do! He has a wide selection of music that he plays and keeps all ages interested in his show. Great for a family fun environment. 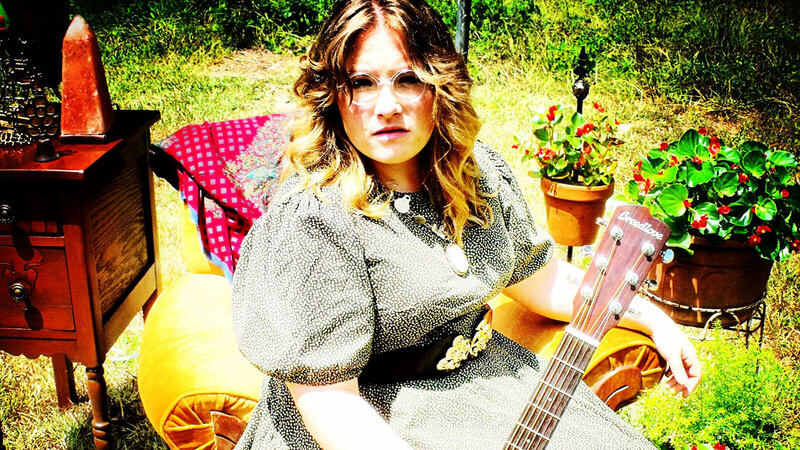 Mamma Molasses performs Alt-Country, Americana, Indie Folk, and Blues. She is a songwriter, and she has her own way of fingerpicking a guitar. A lot of her inspiration is drawn from Appalachian Folk Music, Gospel, Old Country, Piedmont Blues, and Contemporary Roots Music. It's gonna be a great evening! 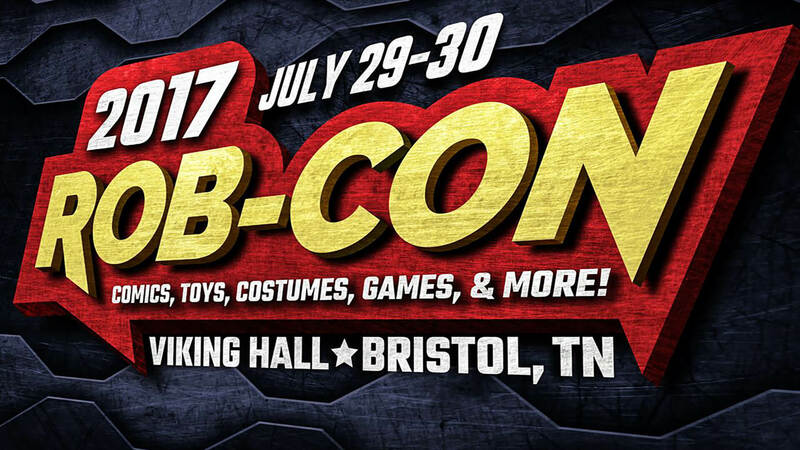 Rob-Con 2017 is set for Saturday and Sunday, July 29-30 at Viking Hall in Bristol, TN. Times are 9am — 5:30 PM on both days. Activities include a costume contest at 3PM on Saturday, video, board & card games and guest writers and artists. Timothy Zahn is the guest of honor this year. He is a New York Times best-selling author of Star Wars books. "An Evening with Timothy Zahn" is set for Saturday night at 7:30PM at Machevelli's Restaurant in Bristol. Tickets are $50 and can be purchased at Mountain Empire Comics in both Bristol and Johnson City. 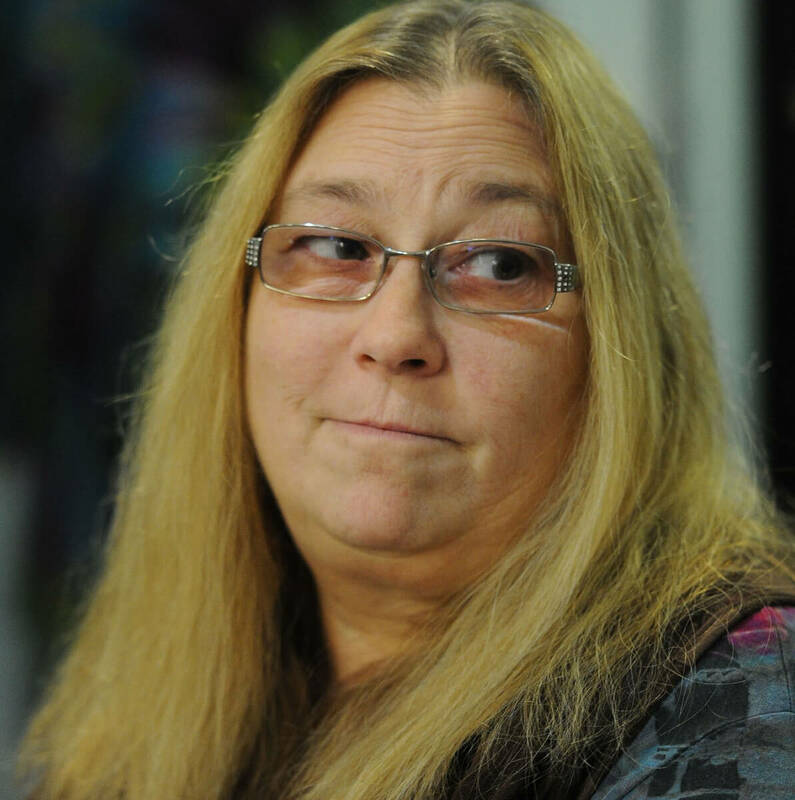 Dinner is included and participants will have a chance to speak and ask questions with Zahn. A portion of the proceeds goes to the Holly Help Spay-Neuter Fund to help underprivileged animals in our community. More information on Rob-Con can be found at robcon.org. More information on Holly-Help can be found at hollyhelp.org. The Earnest Tube is pleased to announce their Sound-Maker Celebration: celebrating the ingenuity that brought Ralph Peer to Bristol in July 1927 by blending music, technology and the art of “making” in modern form. 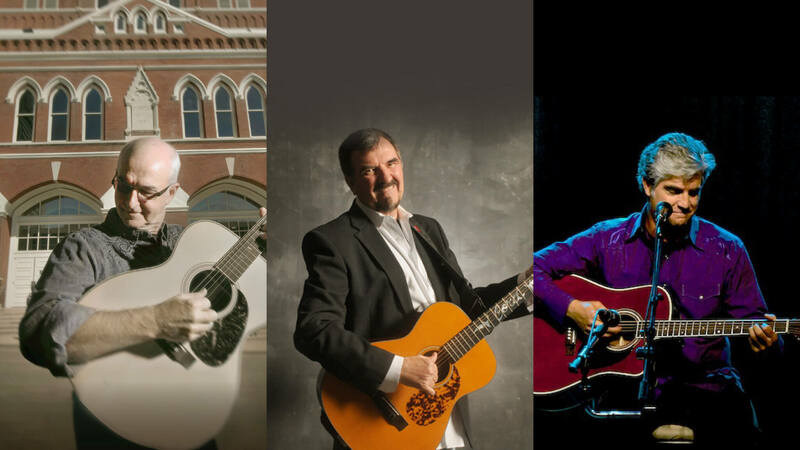 The Birthplace of Country Music is proud to present an intimate Friends of 1927 concert experiencewith artists Carl Jackson, Larry Cordle ,and Jerry Salley. Described by Bluegrass Unlimited magazine as “Bluegrass Music’s MVP”, the Mississippi Musician’s Hall of Fame member and Grammy winner was also recently inducted into the SPBGMA Preservation Hall of Greats. As a vocalist, you can hear him on recordings with the likes of EmmyLou Harris, Dwight Yoakam, Vince Gill, Ricky Skaggs, Steve Wariner, Garth Brooks, Janie Fricke, Dolly Parton, and many, many more. 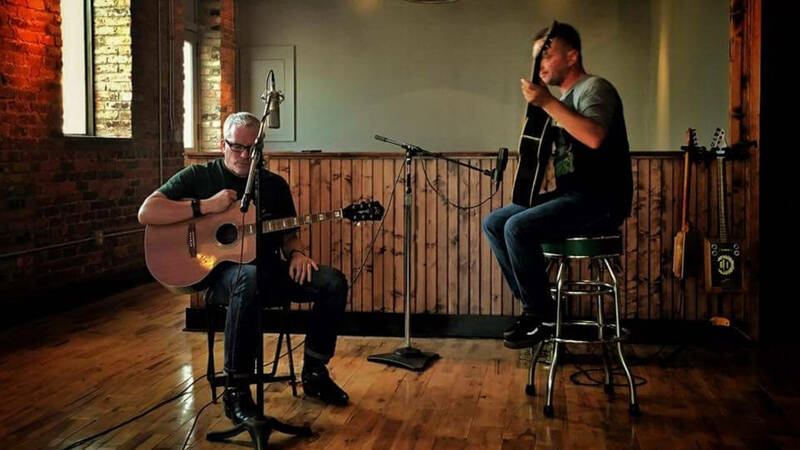 He has also had great success in songwriting, with his work being sung by many high-caliber artists such as Glen Campbell, Garth Brooks, and Brad Paisley. 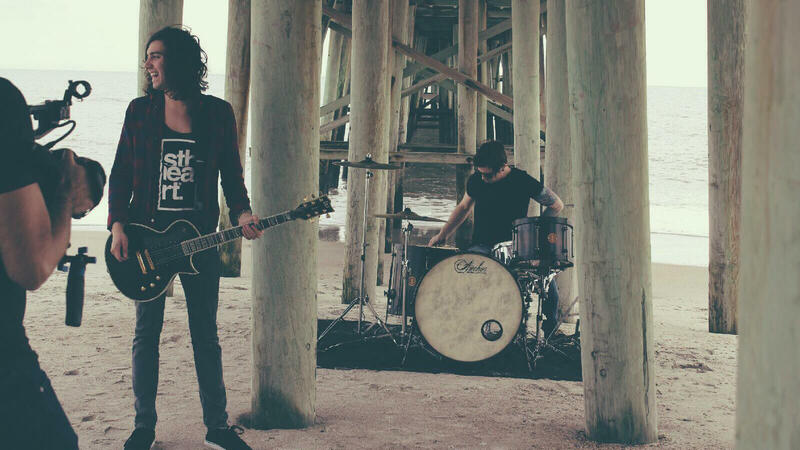 Cordle is an accomplished songwriter and performer. At last count, his songs had appeared on projects that had sold a combined total of more than 55 million records to date, by artists such as Ricky Skaggs, Alison Krauss, Rhonda Vincent, Garth Brooks, George Strait, Trisha Yearwood, Reba McEntire, Diamond Rio, Alan Jackson, Trace Adkins and many others. His band, Lonesome Standard Time,has been awarded song of the year by the International Bluegrass Music Association on two separate occasions, garnered two Grammy nominations for best bluegrass album, received nominations for vocal group and instrumental group, landed #1 slots on the Bluegrass and Americana charts and gained the respect of their peers and had many accolades during their existence. 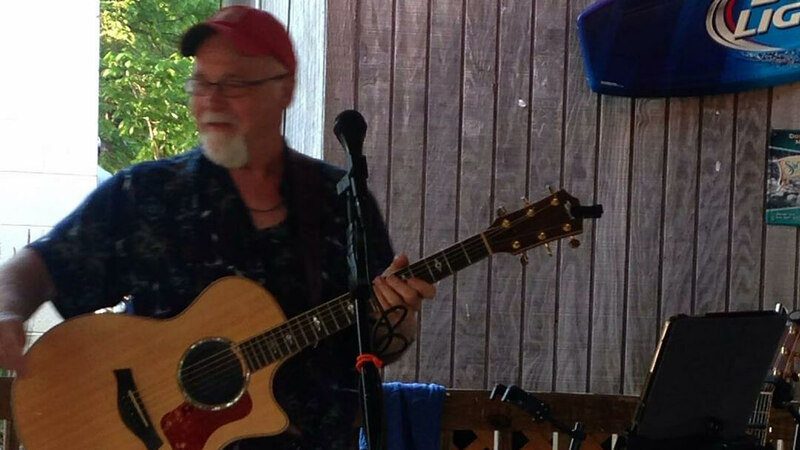 Referred to by Billboard Magazine as “One of Music Row’s greatest veteran tunesmiths,” Jerry Salley has had an incredibly successful songwriting career. He was the 2003 SESAC Country Music Songwriter of the Yearand has had over 450 songs recorded in his multi-award winning career. To date, Jerry’s songs have sold in excess of 15.5 million records worldwide, and internationally he has penned no less than seven #1 Country hits in Australia. From Sir Elton John’s only chart single to appear on the Billboard Country Chart (“Where We Both Say Goodbye” – duet with Australian artist Catherine Britt) to a Gospel song so popular it has been included in Church Hymnals (“His Strength Is Perfect”), Jerry’s long list of accomplishments speaks for itself. Most recently, Jerry was honored to have a song on Chris Stapleton’s Traveller album (“Outlaw State Of Mind”), which is certified double platinum. From songs recorded by some of today’s biggest country stars like Chris Stapleton, Reba McEntire and Brad Paisley, to country music legends Loretta Lynn and The Oak Ridge Boys, Jerry is honored each and every time a song of his is recorded. 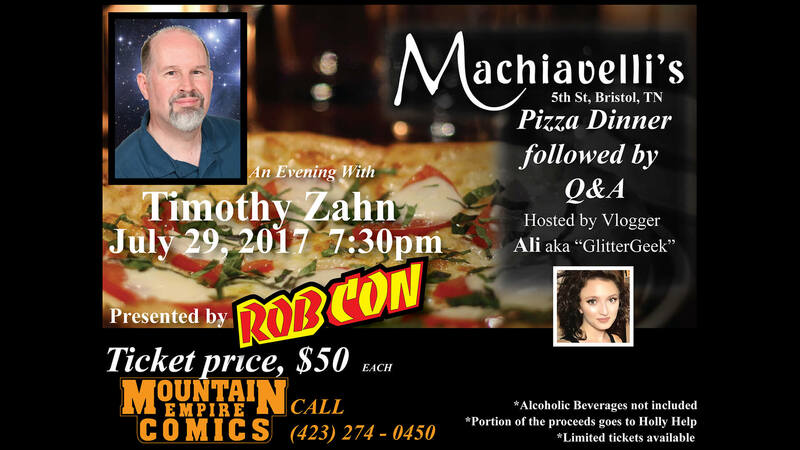 "An Evening with Timothy Zahn" is set for Saturday night at 7:30PM at Machevelli's Restaurant in Bristol. Tickets are $50* and can be purchased at Mountain Empire Comics in both Bristol and Johnson City. Dinner is included and participants will have a chance to speak and ask questions with Zahn. A portion of the proceeds will benefit Holly Help Spay/Neuter Fund. 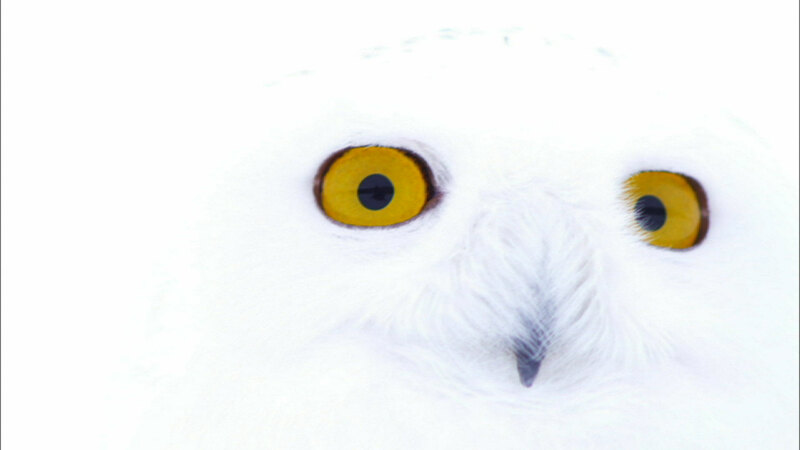 The Bristol Public Library will be offering a special showing of Nature: Magic of the Snowy Owl (2012). Magic of the Snowy Owl is a fascinating documentary on the life span of the snowy owl and its unique capabilities as a hunter in one of the most inhospitable climates in the world. Snowies, once hatched, only have 82 days to learn how to fly and fend for themselves, before the full force of winter comes down on them. If you're a fan of Harry Potter's Hedwig, make sure to come by for this free showing of Magic of the Snowy Owl at 6:00 p.m. on August 1 in the J. Henry Kegley Meeting Room. Duty Free is a bluegrass band based in Bristol, Tennessee. Members of the band are Bobby Love, Charlie Powers, Rick Powers, Hal Boyd, and Tim Laughlin. Bobby plays mandolin and demonstrates his versatility as a musician by singing both lead and harmony. He’s a songwriter as well who has written several tunes performed by the group. Charlie plays both lead and rhythm guitar and sings lead and harmony. Rick plays banjo in the traditional Scruggs style and also lends his vocal talent to the band. Hal Boyd anchors the group’s rhythm with his double bass playing and provides the baritone harmony — as well as lead and bass vocals — on many of Duty Free’s tunes. Tim Laughlin, long noted in bluegrass circles for his musical talent, plays fiddle for the band. PBS Documentary: "Note by Note: The Making of Steinway L1037"